Jimmy's Crochet Club features yarn that we LOVE, hand-picked from our extensive stash by the experts at Jimmy Beans Wool! Each 3-month progressive project includes a printed pattern, designed (or reimagined) exclusively for Jimmy's Crochet Club! Enjoy early access to new Just at Jimmy's products, a free shipping coupon for every month of your subscription, and exclusive access to our new help hotline, Fiber Friends! Treat yourself to an ongoing monthly subscription starting at $15.00 (shipping included!) for our U.S. customers, or pre-pay for a 3, 6, or 12-month gift subscription. Ships between the 11th and 15th of each month! All packaged in a custom Jimmy Beans box! 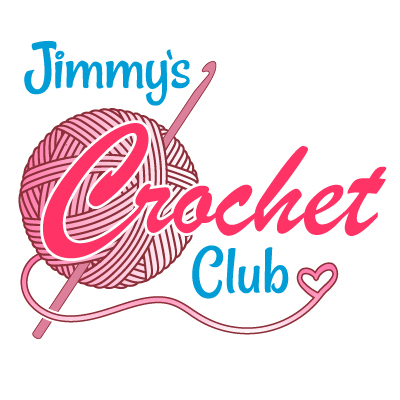 EXTRA Jimmy's Crochet Club Perks: Early access to new Just at Jimmy's products (before anyone else! ), a free shipping coupon for every month of your subscription (good towards any order! ), and exclusive access to our new, appointment-based help hotline, Fiber Friends (talk to an expert crocheter about anything and everything crocheting-related)! View previous 2018 Crochet Club projects. Ready to get your pouf on?! 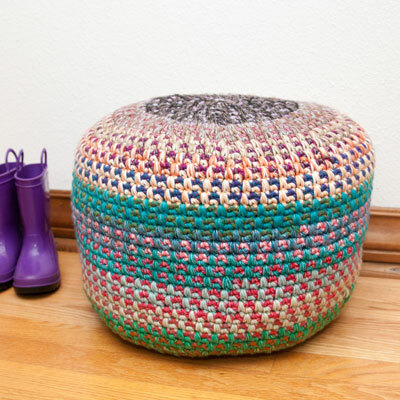 We're kickin' off the 2019 Jimmy's Crochet Club with Monster Pouf, designed by Katy Peterson, of KT and the Squid! Monster Pouf uses a Scheepjes Stone Washed XL and River Washed XL Colour Pack. Perfect for kids, pets, or as a stylish, modern addition to your living room, you'll love this colorful pouf - no monster needed! Want to learn more about the designer? Head over to our blog to hear from Katy herself!